Before I get into anything else, I thought I’d mention that Beneath Ceaseless Skies just released their Seventh Anniversary Double Issue #183, with Rose Lemberg, Naim Kabir, I.L. Heisler, and Grace Seybold. Scott also reprinted “The Bride Doll” from Yamada Monogatari: Demon Hunter, so if you haven’t read any of that book yet, here’s a free way to get a taste. Though the official release date is either the 22nd or the 13th (depending on whom you ask), Amazon is shipping real copies of Yamada Monogatari: The War God’s Son sort of…nowish. So if you’re looking for actual paper copies, there’s no more excuse. If you’re holding out for the Kindle/Nook editions, well, you’ll have to hold out a little longer. It’s unlikely they’ll be available before the official date which, whatever date you pick, is later this month. The fact that I have a new book coming out touches on an online conversation on one of those sites that attempts to do an exhaustive listing of all new books about to hit the shelves. The point was made that, and I paraphrase, “there’s an almighty shitload of new books.” It’s true, and that’s not even counting the Indie and self-published stuff. Just from the publishers who license the rights to publish a book from an author that particular month. Publishing with a traditional publisher of whatever size is and remains difficult, and yet an awful lot of writers do manage it. So many that an awful lot of them do manage to get published every single month. It must be said, that some proportion of those awful lot of books really are awful. But most aren’t. A significant proportion of them, perhaps even the majority, are pretty good. Some are even damned good, but that might not be enough to save them. For a reader, it’s pretty much like trying to judge the esthetic qualities of one snowflake over another in the middle of a friggin’ avalanche. It’s no wonder that many readers stick with writers they’re already familiar with, and eagerly await anything new from that set of writers. That doesn’t leave much room for happy discoveries, and yet who can really blame them, when the alternative is dealing with the avalanche? Still, newer writers do get read, sometimes. Could be on the recommendation by a friend, or sheer accident. Perhaps the work was even enjoyed, and the reader makes a mental note to look for that writer again. Maybe. Equally likely they’ll just forget about it and go back to what they know. Most books go nowhere, either in building sales or readership. It’s no surprise that a great many writers publish for a few years and then just go silent. What’s more surprising is that more don’t do the same. In the grand scheme of things it doesn’t make that much difference, since there’s always a new batch of writers to come along. The point, if there is one, is that it’s hard to get noticed. The Yamada series has done well, and frankly the publisher was just as surprised as I was. Not that either of us didn’t believe in the books, but because we both knew that any particular book getting any attention at all is such a long shot. So here’s a thought–If you’re inclined, maybe you can help the next new writer you come across. If you like their stuff, say so. Review it. Tell your friends, especially any with similar tastes in reading. If you want to see more books from that writer, let people know. And by “people” I’m not referring to the writer or even the publisher, especially, but rather to people who might want to know, whether they are aware of this fact or not. You’ll be encouraging more books of the sort you want to read, and writers will get paid to write them for you. Win win. Otherwise, just watch all the snow fall down the mountain. After all, there will always be more where that came from. This entry was posted in Collection, legends, magazines, Writing and tagged Beneath Ceaseless Skies, Grace Seybold, I.L. Heisler, Naim Kabir, Rose Lemberg, Scott Andrews, Yamada Monogatari by ogresan. Bookmark the permalink. 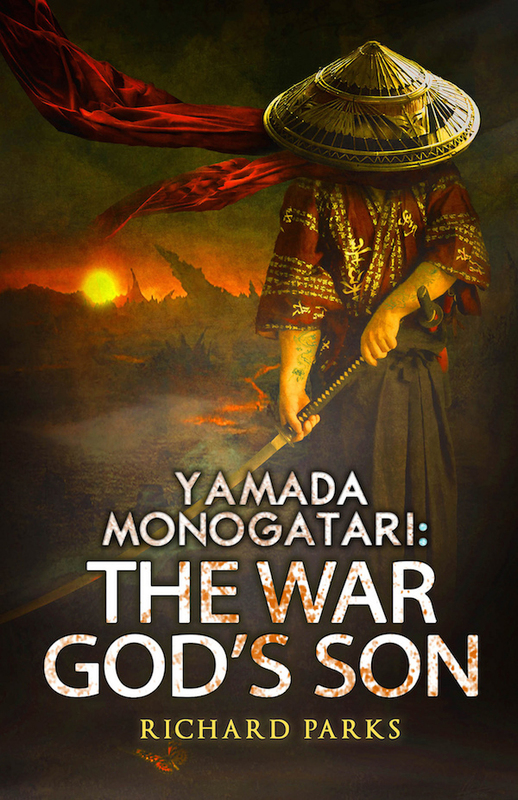 I bought the Kindle edition of “Yamada Monogatari: The War God’s Son” yesterday (October 4th) from Amazon for $6.99, so it is out early. Yep. I was wrong, fortunately. Thanks for letting me know. I wondered if it had hit B&N yet.